I love seeing pearls with a twist! These aren’t your grandmothers pearls and they don’t need to be. One can wear pearls for any occasion by giving them a little something extra to make them fun and different. 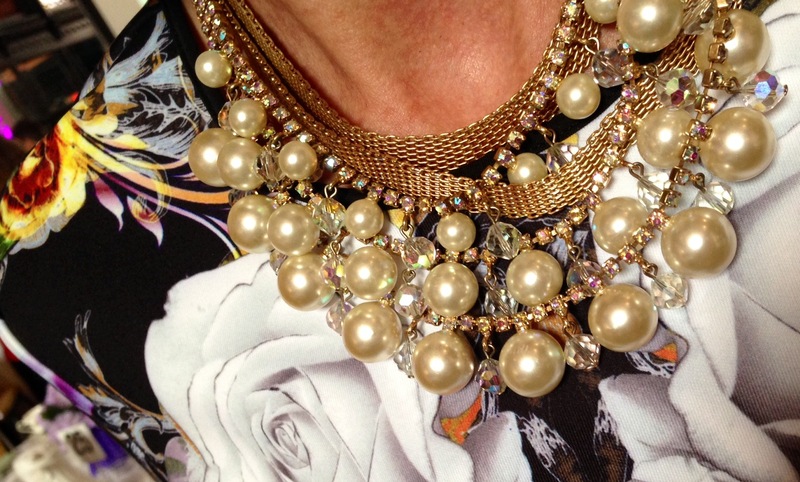 My fashion forward friend, Kimann, knows how to rock her pearls! There is nothing more elegant than a beautiful and timeless chandelier. 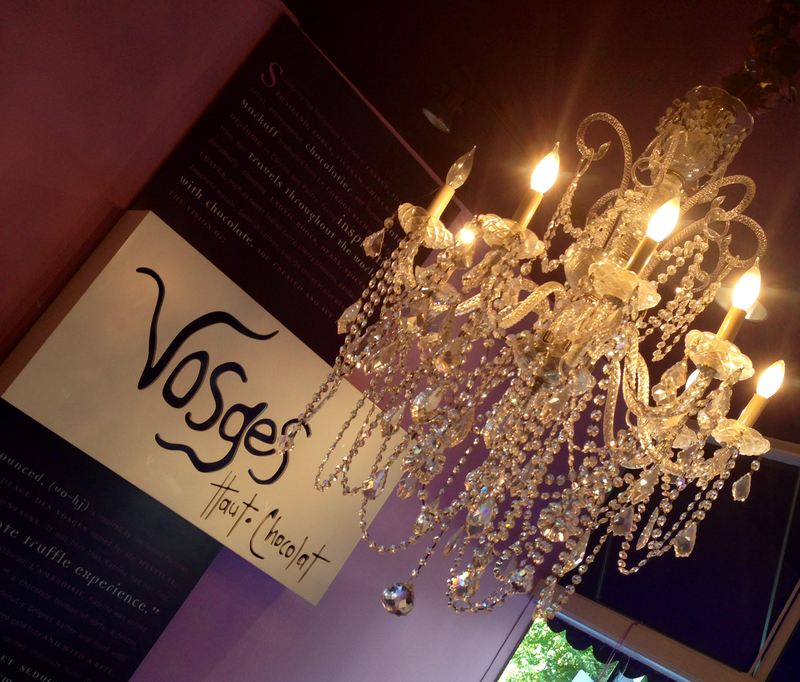 I spotted this gem while I was in Chicago visiting a Vosges Haut Chocolate shop. Not only do they have the most amazing chocolate but the most incredible atmosphere. I have always love finding new bracelets to stack with my favorite Michelle watch and my green jade bangle. My best friend gave me this beautiful pearl and jade bracelet for my college graduation and it pairs perfectly with my “everyday” pieces.